We must again thank the many clients who have made reservations for our VIP One Day Tours. 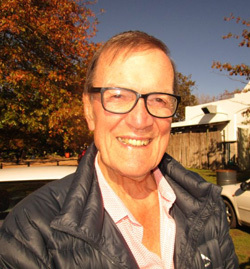 It is going to be a really hectic year for Pietman and Andre and with the growing trend for bookings to be made so far in advance has signalled that 2020 will also be popular for visitors coming to South Africa. Our reservations schedule already has entries for November of that year with clients coming from far afield, especially from the USA and the United Kingdom. 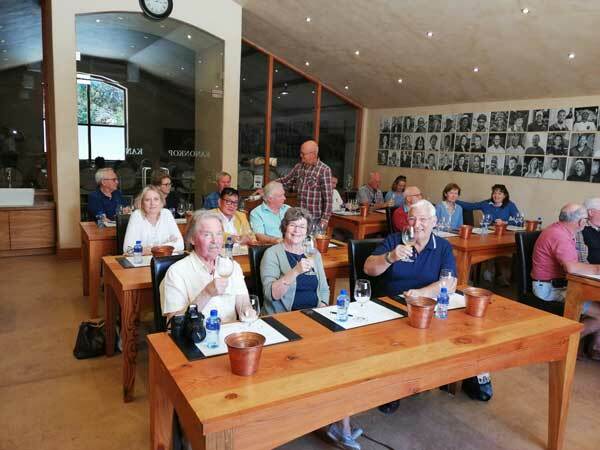 We are especially happy to see more of our previous clients making a return journey to the Cape; Pietman and Andre are enjoying meeting up again with former visitors experiencing yet another day learning about our magnificent Winelands. 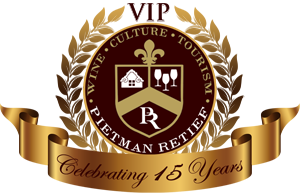 Pietman is looking forward to the third visit later this year of one of his earliest clients who first met him almost 10 years ago. With around 2500 vineyards and estates in the Winelands - including the Overberg, Hermanus and the Swartland - there is plenty of opportunity to experience old and new places. And with the many art galleries, museums, the famous bronze sculpture exhibition in Stellenbosch and the amazing Botanical Gardens there are a myriad other things to capture the interest. Street walks, music festivals and craft markets are regular events giving pleasure to visitors and locals alike and the area boasts several of South Africa's - if not the world's - finest restaurants. It is no surprise that Cape Town and its nearby towns are still regarded as the world's Best Value Long Haul Destination which was independently awarded in 2017. The Wine team from Worcester UK whilst tasting at Kanonkop and being served by Mr Kanonkop himself, Johann Krige. The drought problem which affected the Western Cape in 2018 has all but been addressed but great care has still to be observed with consumption throughout the region. So, whether you are visiting South Africa for the first time or coming back for a further tour you will find an amazing country full of hospitable people eager to show you the best of their country. A holiday here will be one remembered for many years. This website has an online Application Form to help you select a date for your visit. Each tour is individually designed to meet your wine interests and some information is always helpful as to your personal wine wishes. As well as possessing some of the most magnificent scenery, the area is home to a host of wonderful small hotels, guest lodges and unique accommodation on the wine estates. As such, we recommend that you stay in the Winelands for a day or two as traffic volumes between Cape Town and the Winelands are increasing year on year. On busy days up to two hours can be spent travelling each way. 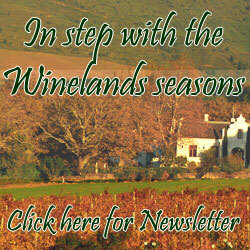 This obviously reduces the time for visiting the actual vineyards on your day with us. We look forward to welcoming you to the Western Cape of South Africa.